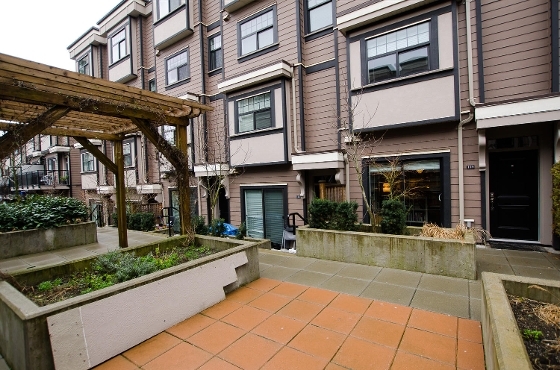 Stunning 2 level Townhouse in vibrant New West neighbourhood! Great Property with a Great Price! Wont last long! 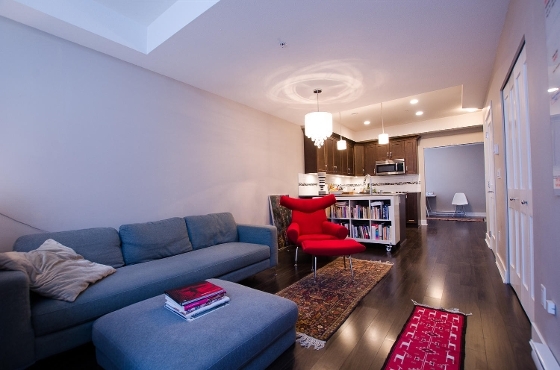 STUNNING 2 LEVEL TOWNHOME! 2 Bedrooms and 2 full baths upstairs, a HUGE bedroom (currently used as an office), Chefs kitchen and living area downstairs. Also a powder room, and storage on the main floor. This"Brownstone Inspired"sophisticated home is ideally located in New West's vibrant and trendy downtown. Walking distance to skytrain, Douglas College, restaurants, shops, the Quay Market, Anvil Centre, schools and more. This home features dark laminate throughout, S/S appliances, quartz counter top, in - suite laundry & storage, private balcony off of 2nd bedroom, cozy patio off the living room, and a huge workspace. 1 parking and NO RESTRICTIONS. Perfect for a family or an investor.